I was tired of ill-health. In spite of taking medicines worth Rs. 25,000/- p.m., my health was not improving. I was not able to work. Kidneys were functioning only at 18% of capacity. Creatine level was as high as 4.9. I had to take Hemoglobin injections once every week, yet the level used to remain at only 8.5. Due to all these, I always felt exhausted and I was not able to work at all. I think the hypnosis has surely helped me but I'm still not sure till what extend. To be frank I'm still waiting to face some difficult situations again in my life which I used to face earlier and couldn't react confidently to them. But since when I got the therapy done a couple of weeks ago i can definitely feel the change the energy to face criticle situations in me. Earlier I used to get so anxious about people around me so that I used to lock myself in the office restroom for a while till my anxiety level cools down. But after the therapy I'm not saying I've became completely fearless to any situation but nowadays I'm not feeling the need to lock away myself from social situations and that has made a big difference in my life. Now I can talk in social situations without any guilt. And gradually I'm becoming more free to express myself in public. And most important I'm nowadays not getting afraid of expressing my viewpoint to my boss. I think this will be a major turning point in my career. A journey that I started 33 years back without any direction and hope has led me to an express highway with speed, joy and complete peace with this beautiful Retreat. I feel Mr. Rajendra and Mrs. Archana Kulkarni are one of the most finest and valuable ‘Medium’ of Messengers of Universe who have been doing a wonderful & passionate work of spreading such loving awareness and messages. I came here with an ‘empty cup’ of confusions and issues in my life but now going back with an overwhelming cup of solutions and love. My hearty gratitude for this wonderful couple who have given a brilliant shift in my life. Thank you M’am and Sir. I love you both. I came to the Retreat with no particular aim but I’m going from here with an aim. My understanding of myself and the purpose of my life is much clearer now. Attending the Retreat has given me solutions and answers to all my questions thus making me feel deserved and confident. Thank you Rajendra sir and Archana M’am for making this experience a memorable, enriching and empowering one. “I’d like to take this opportunity to thank the Masters/Universe for giving me the chance to be at your Retreat. These 3 days were wonderful and the explanation provided was excellent. I have understood the importance of living ‘in the now’ and will definitely practice it. I have learnt to be MY SELF. I’ve had my fears released and am feeling very peaceful and light now. The last meditation was very helpful to me and made me understand to be patient with people. Patience is something that was not a part of me. Now I choose to be very patient with people. "Spiritual Retreat is the best thing happened to me. The surrounding is so perfect with waterfall and the trees we feel as if come to another world away from busy and crowded life. After coming so closer to nature, not feeling like going out of this world. Continuous sound of waterfall, chirping of birds and at the night sound of crickets takes us to Spiritual World. The people and the food here are superb. " "Thanks to Mr. Rajendra and Archana Kulkarni and their colleagues for conducting the Retreat and taking all participants to the nature. The Retreat has generated immense positivity in me which I feel give new dimension to my life style. " 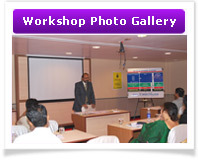 "I would specifically like to mention that our Trainer had taken lot of efforts to build up very good and informative training documents with easy understandable language. By this training I feel that I could enhance my intuition and work on it which will help me to achieve my goal and also my love…….. Worry free life. Thanks to Mr. Rajendra Kulkarni. " Dear Reader, you are at the right place. You truly are! If you are looking for some magic to happen which would transform your life, then your search for that magical experience ends here ! Jeevan Magick brings the magical transformation into your life. Hence, the name Jeevan(life) Magick(magical transformation) in your life !! What do we do here at Jeevan Magick? Well, we do a lot of things here. All things are aimed at empowering you to deal with your individual issues and enable you to lead a great, happy and loving life. We at Jeevan Magick believe that you have a great potential. You also are a unique person on this planet. As for the ‘Problems’ that you face in your life, we believe that these are not really the problems but only the ‘situations’ in life. Just as this, you have many perceptions in life. We not only empower you to change your perceptions through clear-cut understanding but help you lead a harmonious, loving, healthy and prosperous life. The biggest of all - TRUST US !!! We mainly use Hypnotherapy and Transpersonal Regression Therapy for healing your life’s issues. The biggest belief which most of you carry is that ‘since we are human beings, there are bound to be the problems in life! !’ You rush to the experts for advice and healing only when you are at an extreme state of no-coping i.e. when it becomes impossible for you to handle the ‘problem’. Health – You may be experiencing some uneasy situations in your life currently. Your visit to this page implies it. This ‘unease’ is actually ‘dis-ease’. It could be psychological issues like depression, stress, frustration and irritations, fear and phobia, anger and rage, inability to concentrate, restless mind or some physical issues like overweight or underweight, diabetes, blood-pressure, headaches and migraine, skin problems, arthritis, kidney related issues, spondylitis, vertigo, backaches and so on.... Any or all of the above can only be sensed and experienced by you. You suffer but do not understand the real cause or ‘Root Cause’ behind the dis-ease. It cannot be healed by dealing only with the symptoms that are physically known to you. The real healing happens when you know the root cause, understand why you might have attracted it in your life and correcting the situation at the root level. You certainly need an expert to help you unless you can do it yourself. If you have chosen to seek help from the expert healer, then you are at the right place ! Like anyone, I was also desperate to be healthy. I came to Archana. She explained to me everything in the initial session. I started taking therapy sessions with complete trust. Her expertise, genuine compassion, professional integrity and my faith in the methods started giving me results. While still therapy is on, today my expenses towards medicines have drastically comedown to Rs. 5000/- p.m.. Kidney working level is 42% & Hemoglobin % improved from 8.5% to 10.5% with just 1 injection in 15 days. I am able to work now. I have started waking up early in the morning and also, I am able to d lot of work. Therapy has not only improved my health, but also with the help of therapy my look out towards life has also become positive. It feels that life has returned back to me. I wish maximum no. of people should take benefit of this healing modality and transform their life with Archanas professional help ! Money – Money is an important area in the material life that we all live on this Earth. Yet, people associate many ‘problems’ in life with money. Those who have excess money may be tensed with insecurity and lack of safety. Their social circle remains limited and may feel cut off in social and personal life. They may be subjected to hypertension, anxiety, loneliness, diabetes, etc. They may seek attention, may want to be understood well and may be hungry for love. Those who lack money in their life, also feel the dis-ease. They remain in the psychological trap of lack and attract more lack. They keep worrying about money flow, are most of the times in the debttrap, fear about future and so on. This may result into physical problems as mentioned above and also problems like boredom, loneliness, suicidal tendencies, lack of confidence, loss of self worth, selfesteem, etc. You don’t know where to hit the hammer! That’s where we help you!! Career – In this case, you may feel anything like - You are not finding the right job, you are not happy in the current job, you lose promotions to your junior colleagues, you lose self-worth, you feel stuck, you feel life has only thrown sourest lemons at you, you feel victimized, etc.. This has big time impact on your personality, health and your personal life. You tried all conscious solutions- nothing seemed to work ! Don’t worry, we shall help you in this ! Relationships – This is probably the biggest and ‘touchy’ issue for many of you. Problems in relations at home – between spouses/with children/elders; at office – with boss/es, colleagues, vendors, customers; at society – with neighbours, girlfriend/boyfriend, friends, etc. Majority times the logical and apparent causes are incorrect. Logical solutions do not help. The ‘problems’ simmer and get worst. All this leads to psychological and psychosomatic issues like feelings of withdrawal, loneliness, left-out, ignored, disconnected, distanced, cut-off, victimized, depressed, stressed, etc. All lead to only one question – Why me? Relax! We are there. We would help you come out of this. At Jeevan Magick, we are committed to help you help yourself. We are lovingly bound to help the humanity to lead a meaningful life. We are determined to empower you. There are no readymade solutions for your situations/experiences in life. The real solutions for all these situations – to which you call ‘problems’ – lie within you. We will help you in exploring them. We are the experts. We are the catalysts who will take part in the process of enlightening you in this journey of life to know the situation, find the root cause, find the associated feelings and people in your life, heal the root cause, fill the voids appropriately and finally bring out the “Real You” who is powerful, loving, strong, harmonious and peaceful !!! Welcome again! Experience the magic!! Desire Strongly – NOW!!! Seek an appointment today and resolve the situations! Live life to the fullest! You deserve a better life. Have a strong desire to transform your life. Pick-up the phone and seek appointment. Continue healing and post-healing practices. The life is all about choices! Make the right choice ! !